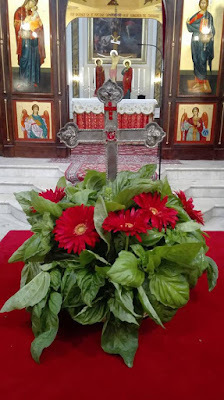 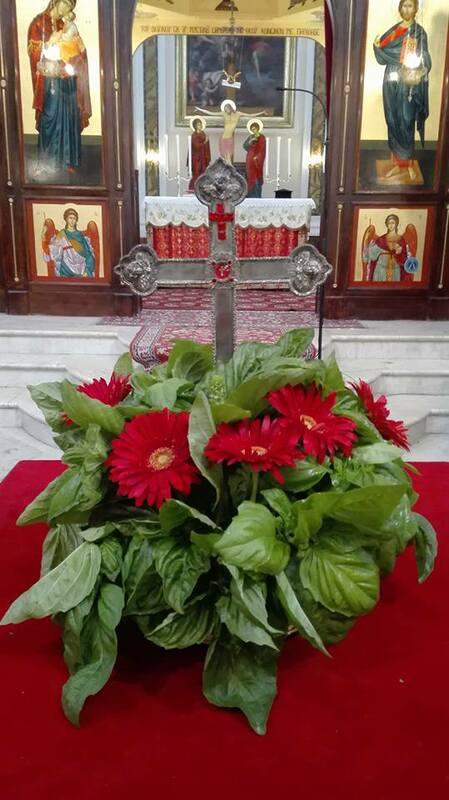 In the Byzantine Rite, the Exaltation of the Precious And Life-Giving Cross is one of the twelve Great Feasts, as they are called, celebrated with a fore-feast and after-feast, roughly the equivalent of vigils and octaves in the Roman Rite. 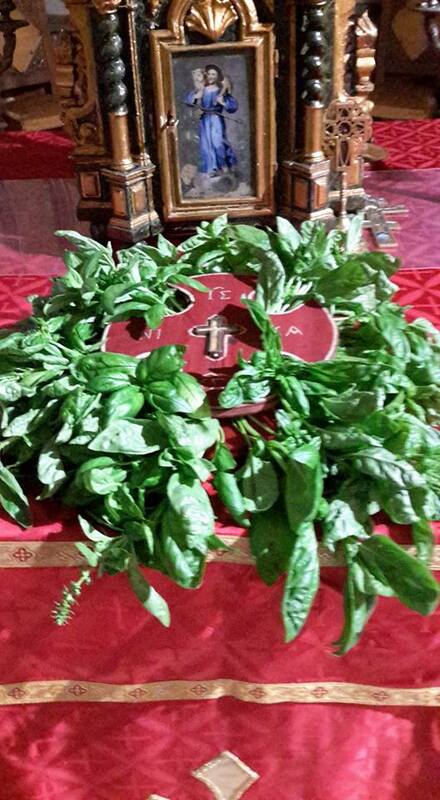 (Afterfeasts vary in length, and conclude with a day called the Leave-taking of the feast.) 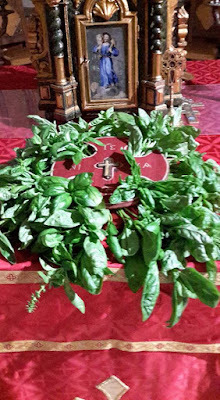 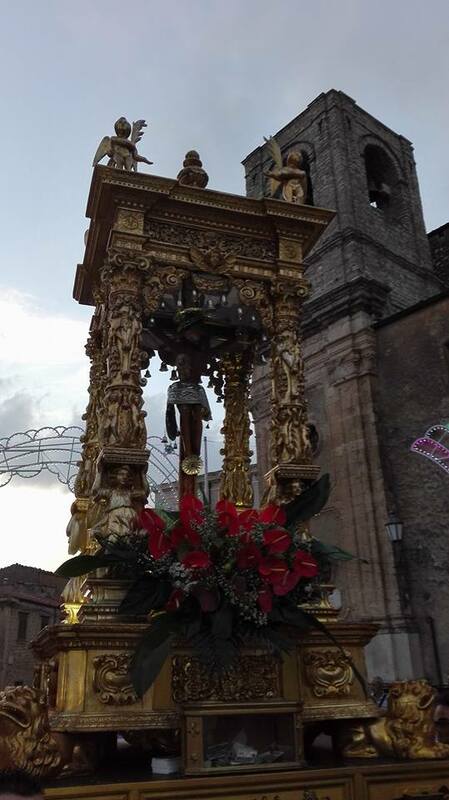 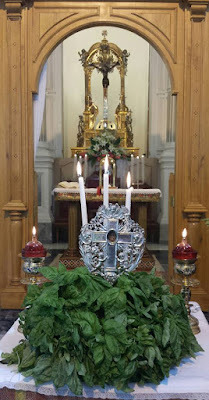 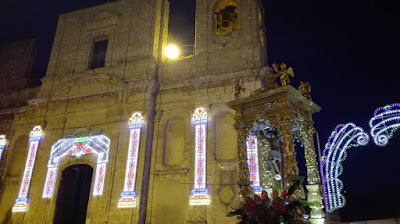 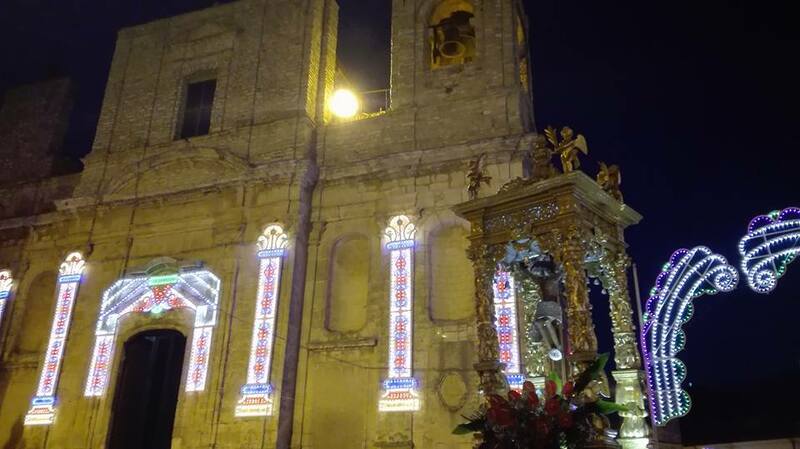 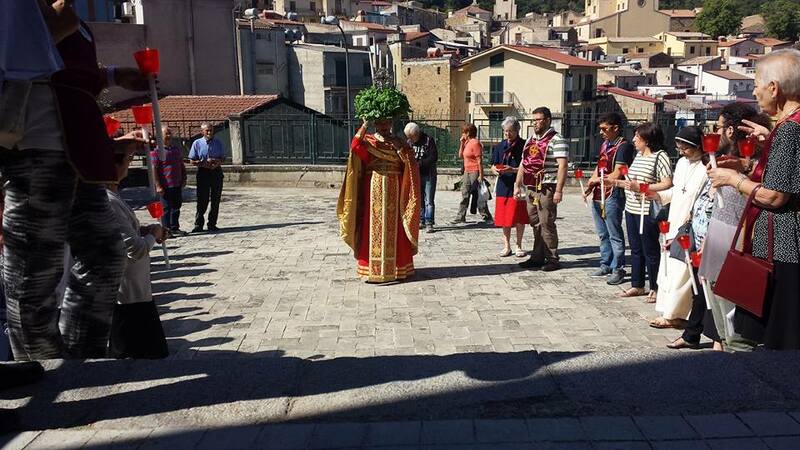 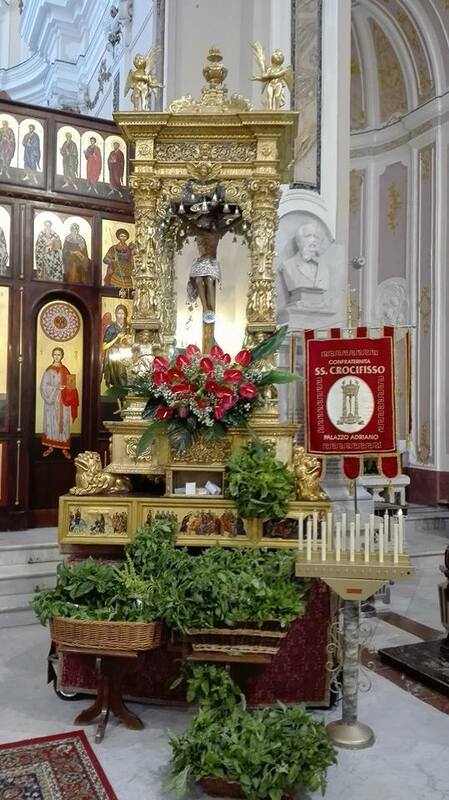 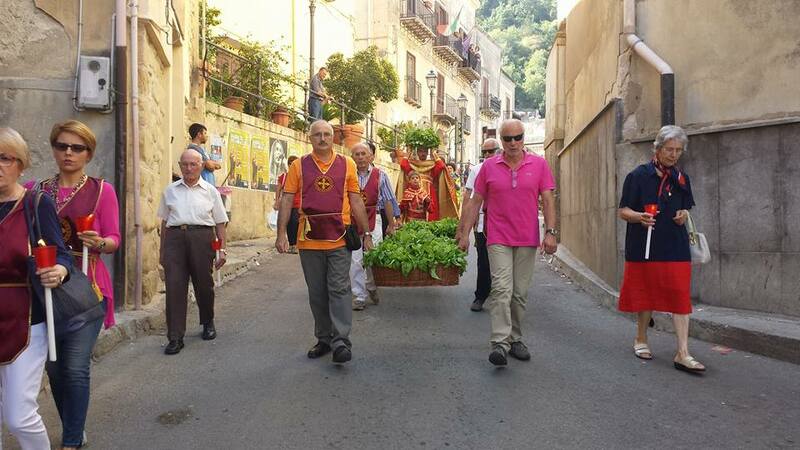 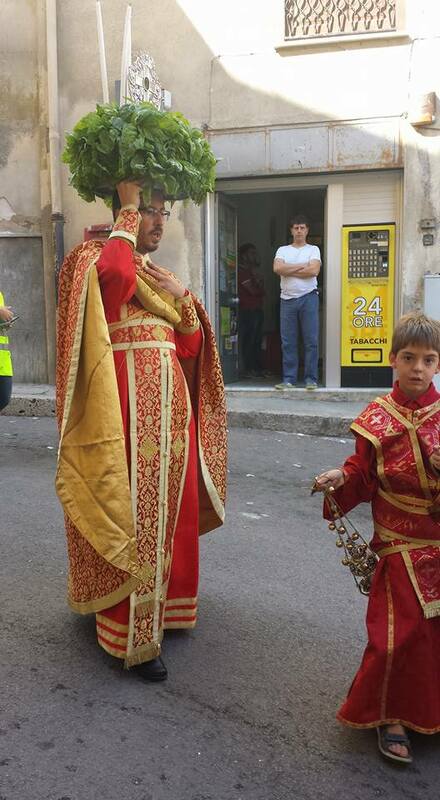 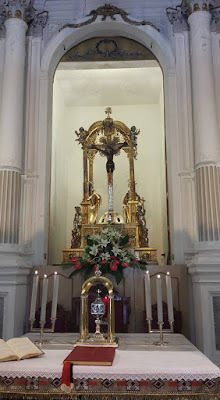 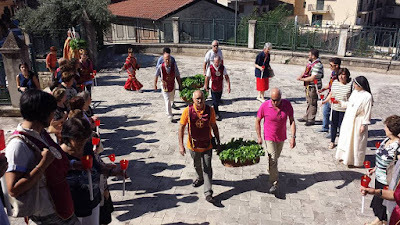 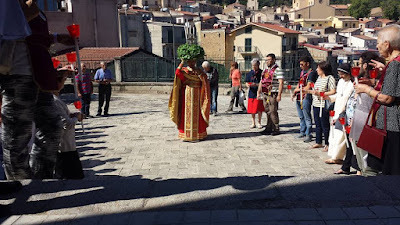 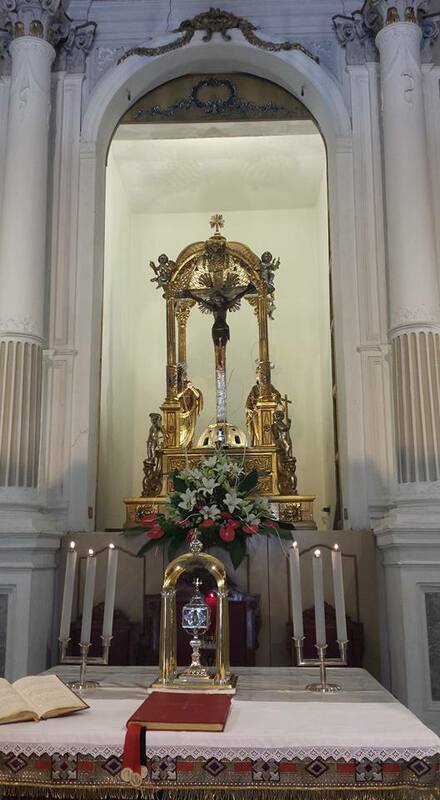 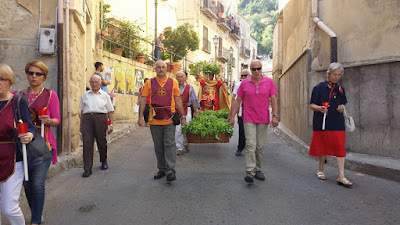 The Exaltation is very often the occasion for processions with relics of the Cross, as we see here among the Greek-Catholic communities of Piana degli Albanesi in Sicily. 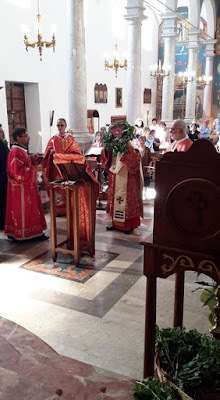 The Byzantine Rite communities of southern Italy descend in part from the Greek settlements which were formerly very numerous on the Italian peninsula, and partly from Albanians who crossed into Italy in the 15th century to escape from the Turkish invasion of their lands. (Hence the distinction “degli Albanesi - of the Albanians”; Albano and Albanese are both fairly common last names in Italy.) Their liturgy is therefore celebrated in a mix of Greek and Arberesh, a literary form of Albanian from about 400 years ago. 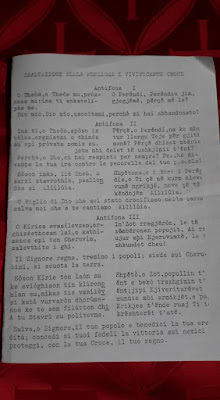 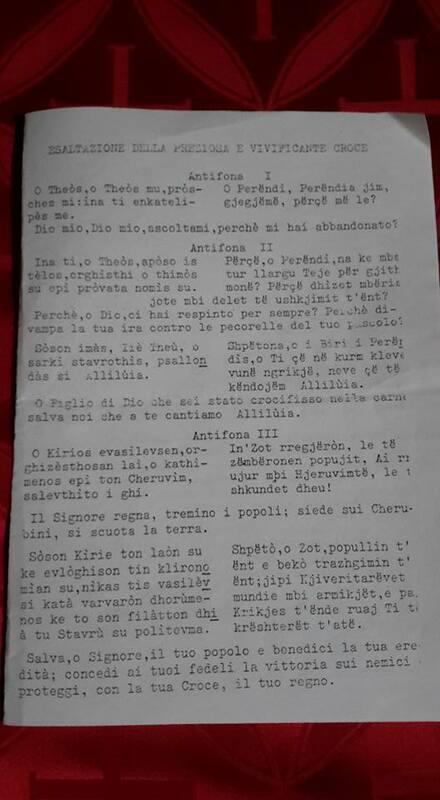 Here we see the variable texts of the liturgy in transcribed Greek and Arberesh. 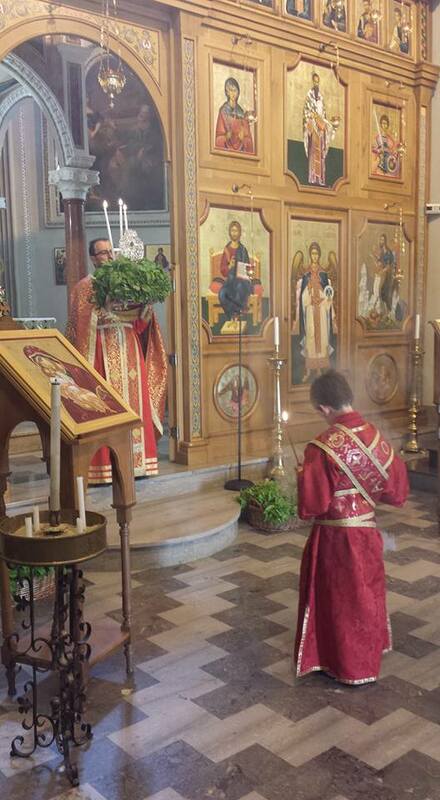 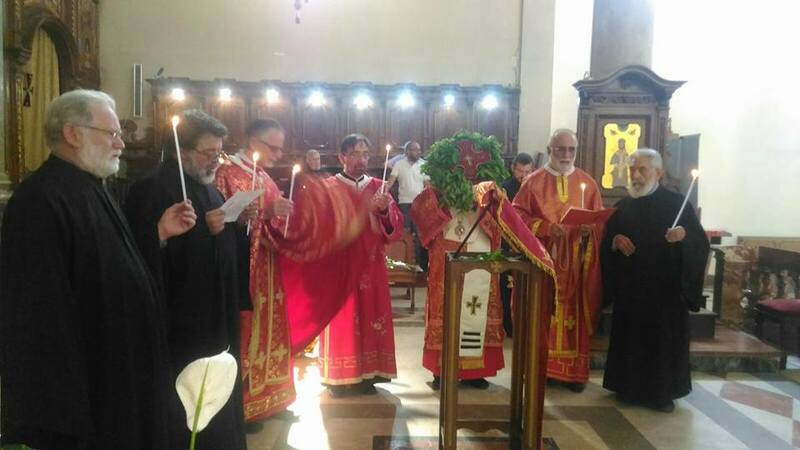 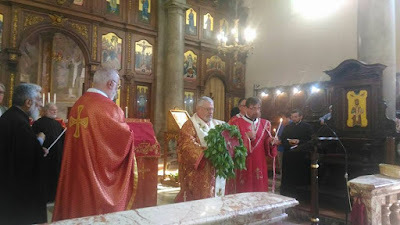 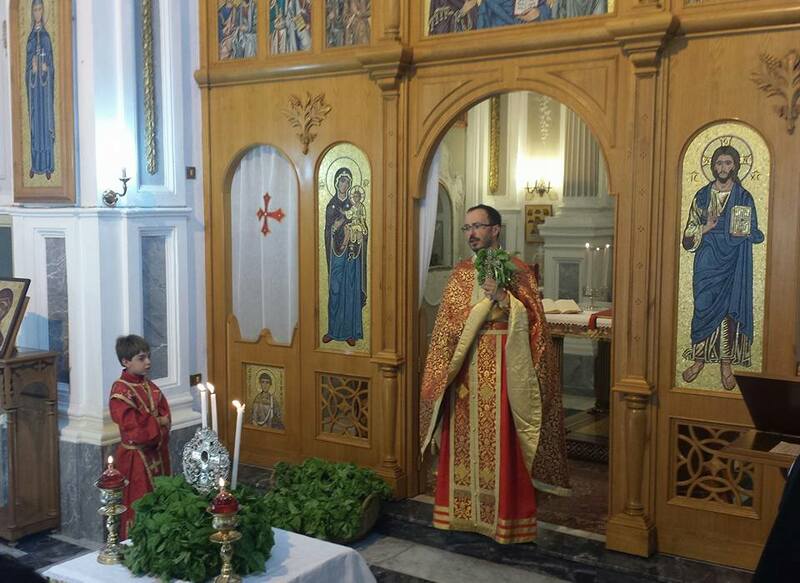 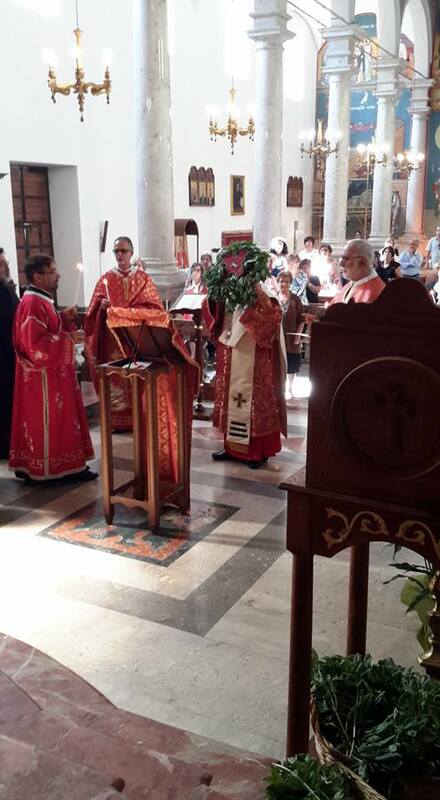 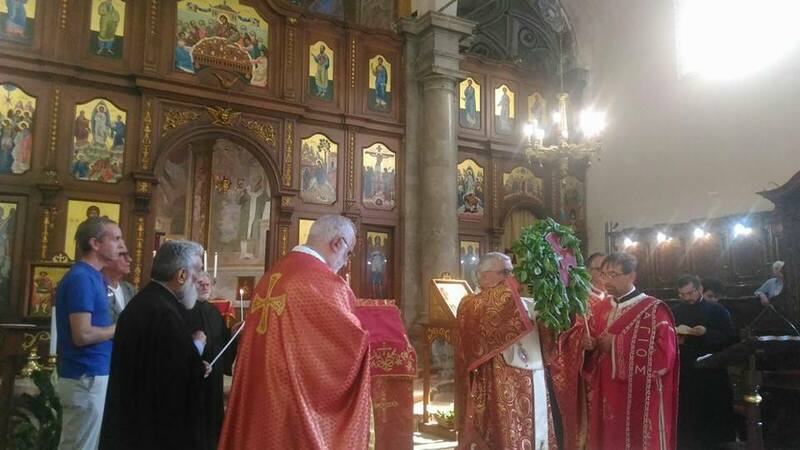 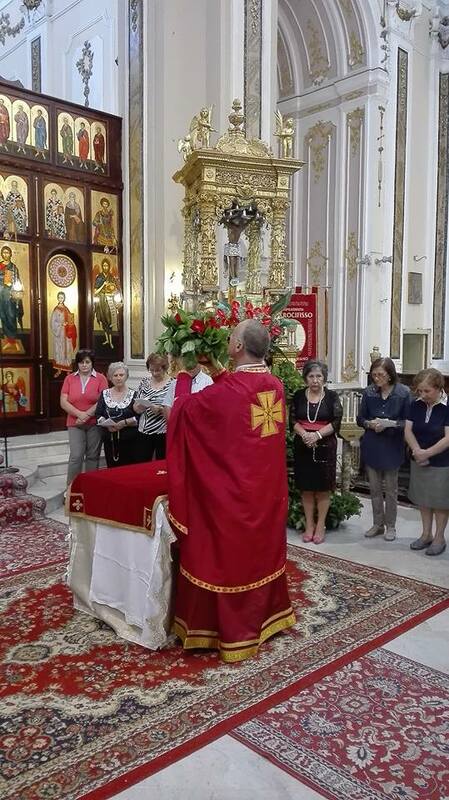 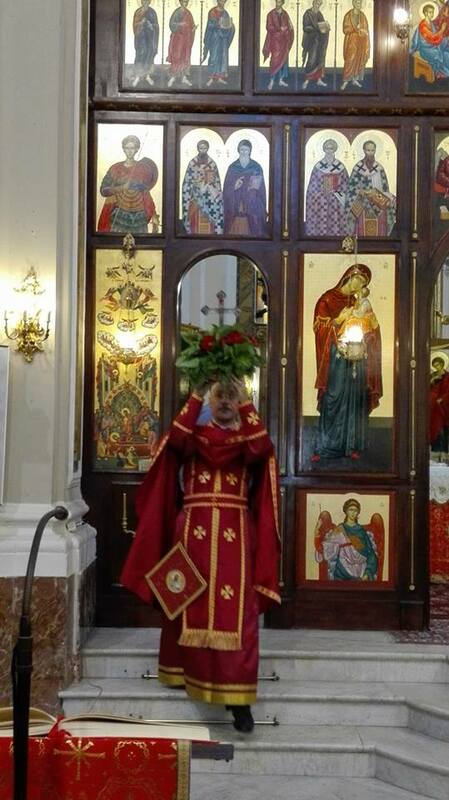 At Mezzojuso, a procession was held from the Church of St Nicholas to the Church of the Holy Crucifix followed by the adoration of the Cross, and the Divine Liturgy in Greek.